Are Millennials Even Interested in the American Dream? | ASTRALCOM - Content Strategy, Conversion Marketing and Customer Acquisition. While there has been a whole lot of hype about millennials being the largest marketing segment to date, some new numbers are out that apparently refute that claim. And if true, there could be a huge market correction coming forward, especially for homebuilders. A recent survey showed that 62 percent of millennials are renting or living with roommates. Is it because of student debt, which according to a recent Harvard study, affects 42 percent of millennials? Is it because 60 percent of all millennials have changed jobs between one and four times in the last five years? 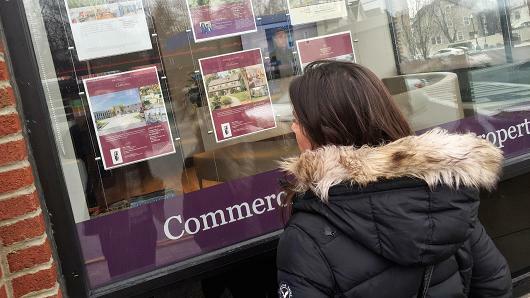 While these numbers seem dismal, still, nearly 90 percent of millennials do want to own a home and a recent report by Zumper found that 71 percent still think the American Dream involves owning a home. These interesting findings are noted in an article by Nicole Audrey at CNBC. Therein, Ms. Audrey goes on to say that we may be “… witnessing the death of the American Dream of home ownership…”citing a Census Bureau stat that shows, in the second quarter of 2016, that the home ownership rate in America dropped to the lowest in more than 50 years – at just under 63 percent. If you’re a homebuilder and your next wave of buyers are indeed millennials, what’s to do? It’s certainly not an easy task. Though, knowing that this age group is all about collecting experiences, there are definitely a few messaging tactics that will hit home with this audience. To start with, read our post The Millennial Myth. Then read If Captain Picard did Social Media… Finally, have a look at our Content Marketing Primer. Of course, you could just contact us and we’ll have you engaging Boomers, GenXers, Millennials and anyone else you’d like to convert into a customer.